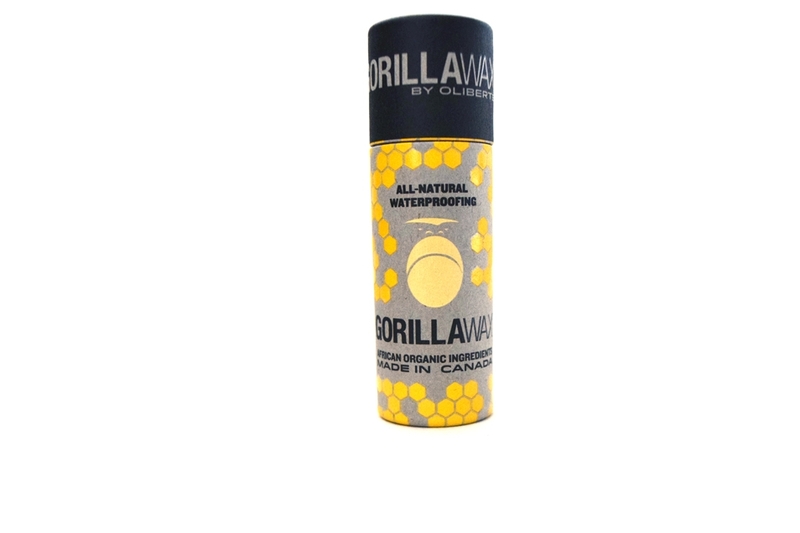 Gorilla Wax® is an all-natural waterproofing wax, made in Canada using organic African ingredients, in partnership with Oliberté. Other Uses include: Apparel Wax and Sports WaxSports wax applications include: hockey sticks, surfboards, skis and baseball or cricket bats. After having tried various similar care products for leather shoes, I really have to say that Gorilla Wax is by far the best. The tube makes it very easy to apply (no need for an applicator or to waste a cloth) and the ingredients are beautifully simple and natural. Although I don't mind a slight darkening of the leather, I have found that Gorilla Wax affects the colour much less than other products. I also can vouch for the quality of the waterproofing: just last week I was stuck in a downpour wearing my Adibos and my feet were dry and the shoes weathered the storm just fine. I really would recommend adding a tube to any purchase of shoes, bags, etc., it's definitely worth having. I don't know why someone would spend this kind of money on boots & not go ahead and buy the wax! I debated myself since I was trying to be frugal, but I'm glad I got it. It spreads on like a glue stick in circles & I used my fingers to rub it it. The ingredients are wonderful. It is a very small container but it could easily cover multiple shoes (which I plan to buy from Oliberte!). Customer service is great as well. This is a fantastic product! It is Super easy to apply. I thought the tube seemed a little small but i quickly realized that a little goes a long way. The one tube should last me quite awhile. The application did darken the color of the leather a bit but I actually prefer the darker, richer color. I am very happy with the results and I think it will hold up well in inclement weather. It's so easy to apply it - and I love that my hands don't get messy. You should test it on a small area of the shoe first, but you should do that for any wax on your shoes to make sure it doesn't affect the color or material too much. I actually also used it on my son's hockey stick and works like a charm. Well very deceived by the size of the container. its about the size of a bic lighter...I am sure that it will be a good product as the wax content feels like a good quality bees wax..